More than one year into its life, the Jim Moran School of Entrepreneurship believes it’s doing what it was conceived to do. It’s producing entrepreneurs. Plus, its leaders say, it’s bigger and bolder, and it has been on the move. 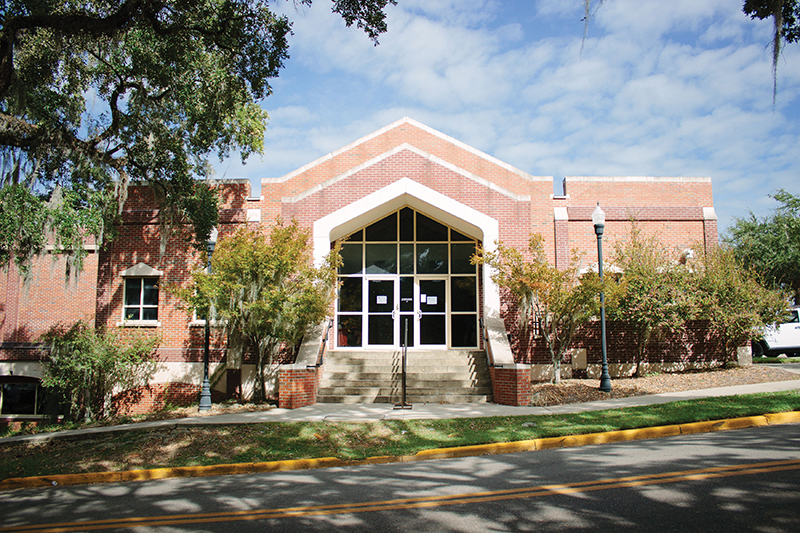 The school settled at the start of this academic year into a new home in Florida State University’s Shaw Building. Meanwhile, it maintains a key presence at its original state-of-the-art location in the downtown Jim Moran Building, site of its startup incubator and headquarters of The Jim Moran Institute for Global Entrepreneurship. Since fall 2017, the school has grown from 80 students to about 600, largely the result of the absorption in January of FSU’s Retail, Merchandising and Product Development department and its 450 students. The school said it plans new initiatives such as an entrepreneurship and innovation learning community for freshmen. It also plans to continue established programs such as its InNOLEvation Challenge, a business-model competition for students from all majors that started when FSU’s entrepreneurship program fell under the College of Business. The school touts itself as “the first interdisciplinary entrepreneurship school in the country with entrepreneurs as faculty from almost every college at FSU,” and school officials say they’ve gotten the national academic community’s attention. The school opened in fall 2017 after a $100 million gift to FSU from Jan Moran and The Jim Moran Foundation. Jan Moran is the widow of the school’s namesake, an automotive-industry pioneer who built his businesses in Chicago and later in South Florida. The university hailed the donation as the largest single gift to a public university in Florida’s history. School officials tout the Jim Moran school as a resource for all students, not only for entrepreneurship majors. Any FSU student can apply to become a member of the school’s business incubator, where they can attend presentations on areas such as accounting, finance, marketing and law. “It’s my goal to be able to touch every student on this campus with some entrepreneurial idea, to give them access to ideas and people and competitions and classes, maybe workshops,” Fiorito said. Molly Cloonan, an economics major who graduated in May, said she had no interest in staring her own business in the spring of 2017, when her academic adviser suggested a course on social entrepreneurship. She came out of it with her own business: Social Safe, an app, aims to prevent sexual violence on college campuses. The social entrepreneurship course directed students to identify a social problem and to build a product to help solve it. Creators of the top three products competed in a business-pitch competition, which Cloonan won. She said professors Mark McNees, founder of RedEye Coffee and an entrepreneur in residence at the school, and Sam Staley, who wrote a book on sexual assault at colleges, helped her with a business plan and with her business-pitch preparation. Then, through an individual study course with McNees, she said, she learned how to register her business and made contact with lawyers and tech-industry players, including a graphic designer. Along the way, she won awards and prize money. Cloonan’s app helps potential victims of sexual assault to contact friends and family before a situation escalates. It gathers audio and video evidence and includes GPS features that help law enforcement locate a potential victim. Jessica Bachansingh, who won the Most Viable business prize for Gifts for Confidence, which teaches young Ethiopian women how to sew infinity scarves that they can market and sell. The Jim Moran school offers majors in retail entrepreneurship, social entrepreneurship and commercial entrepreneurship. Fiorito said the school is pondering whether to let students build their own majors. “I think we need to be innovative and creative in how we’re growing,” she said. The school’s new location, which keeps undergraduate students on campus, includes 31 offices, a student-collaboration room, two labs and a conference room. Fiorito said the downtown location will continue to host speakers and statewide competitions. She said it also soon could house a graduate entrepreneurship program.